SMS INC. REVEAL Q4 GOLFING NUMBERS | Sports Marketing Surveys Inc.
WISLEY, UNITED KINGDOM – January 2017 – Leading sports research company SPORTS MARKETING SURVEYS INC. has announced a year on year increase in the number of rounds played during the final quarter of 2016. SMS INC. have confirmed that the average number of rounds of golf played across England, Wales and Scotland during the final quarter of 2016 is up 10% on the 4th quarter 2015. 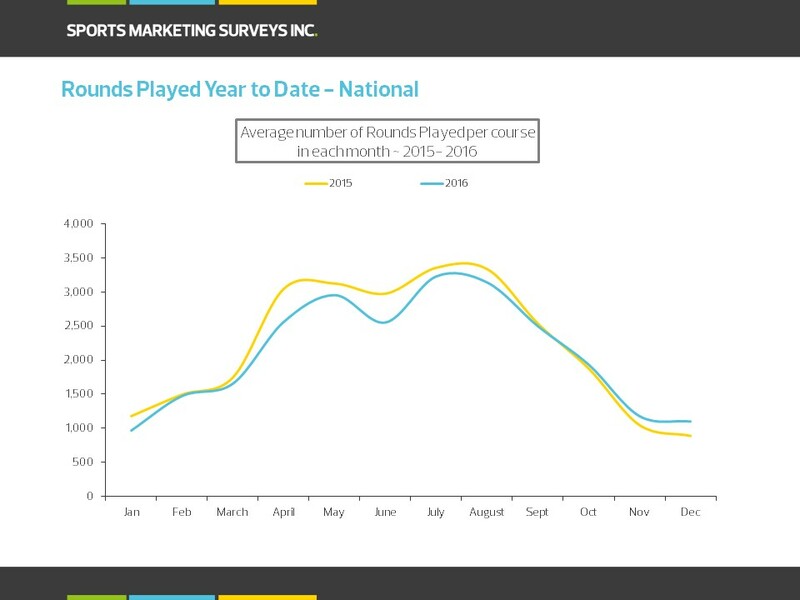 All regions experienced an increase in rounds played this quarter when compared to the same period in 2015, although this could not prevent the year-end month average from finishing 5% down compared to 2015. The South and Midlands saw modest growth in October followed by stronger results in November and December and both saw quarterly increases of approximately 7-8%. Scotland and The North also saw good increases in this quarter which has helped to arrest the decline of rounds played experienced in GB throughout the rest of the year. The weather in the final quarter of 2016 was much better than in 2015. October was sunny and just 38% rainfall, November was unsettled however December was much warmer and dryer than in 2015.